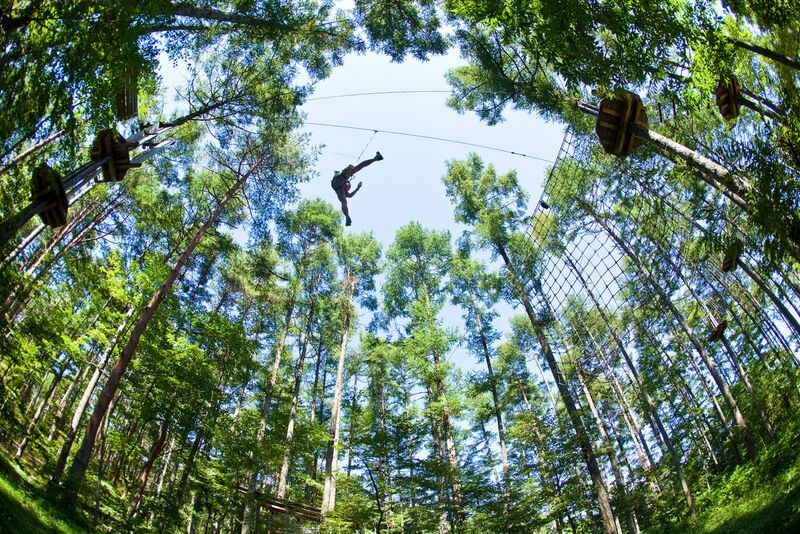 LOOKING TO RISE ABOVE THE DAILY ROUTINE? 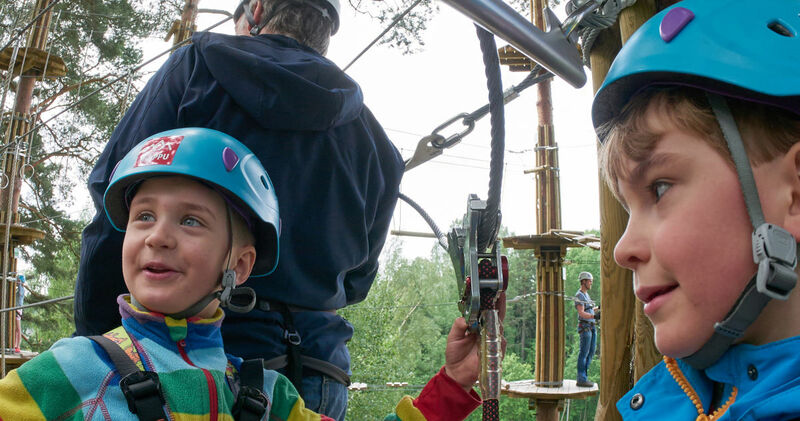 EXPERIENCE THE THRILLS OF THE WORLD ABOVE IN TREETOP ADVENTURE HUIPPU. 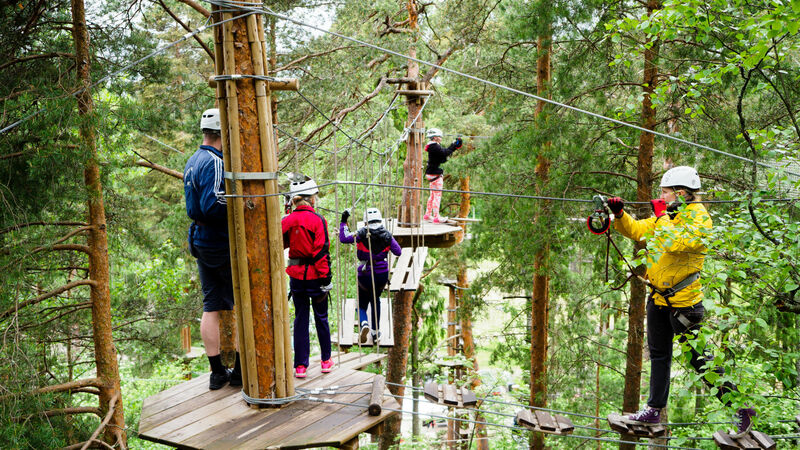 Treetop Adventure Huippu is a place for tightrope walking, crawling through tunnels, balancing on nets, and crossing swaying bridges. 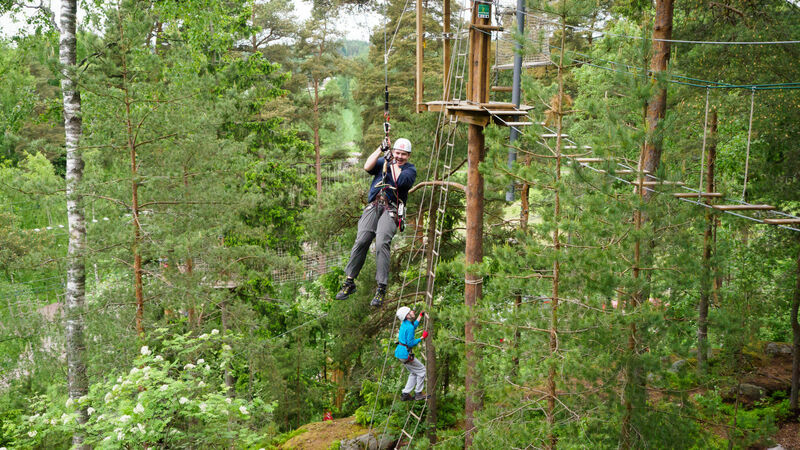 The high ropes courses in Treetop Adventure Huippu take adventurers to heights of between 20 and 60 feet above the forest floor, and end with a dizzying final dismount that can be longer than a football field. 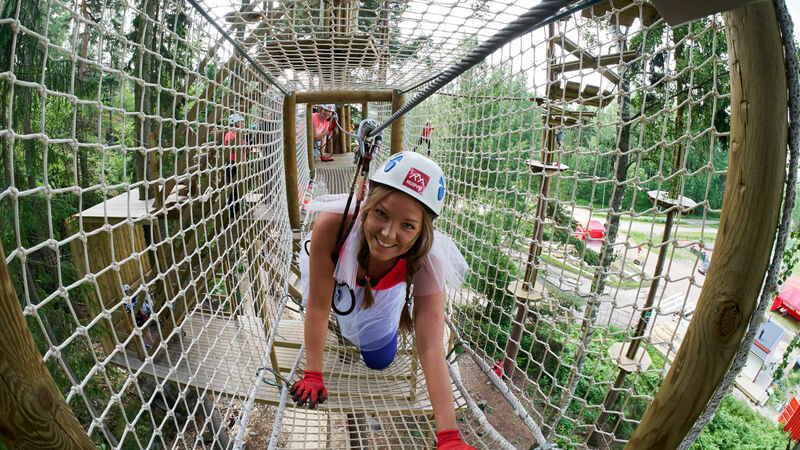 The absolute highlight of the adventure is a ride on the Tarzan swing! 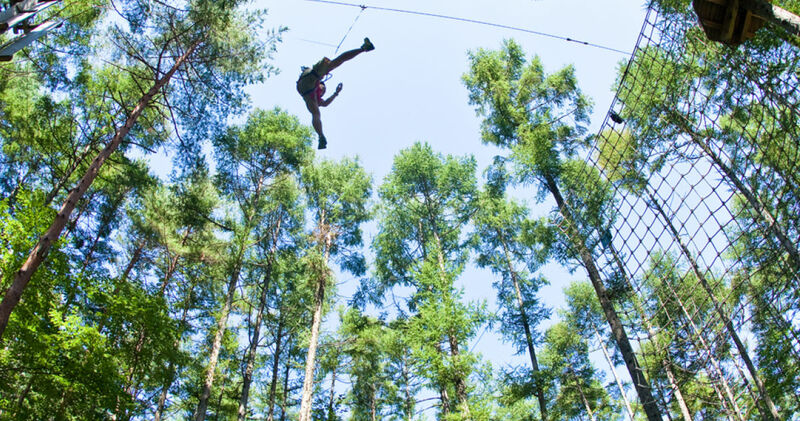 Welcome to enjoy a day of outdoor fun! 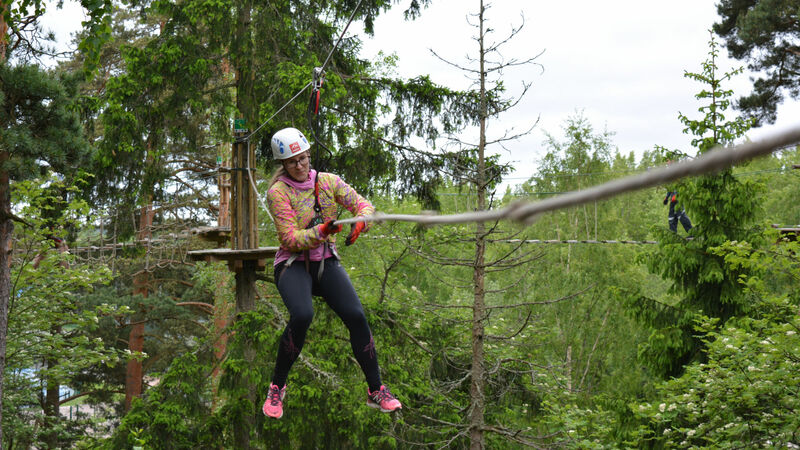 So who can enjoy adventures at Huippu? 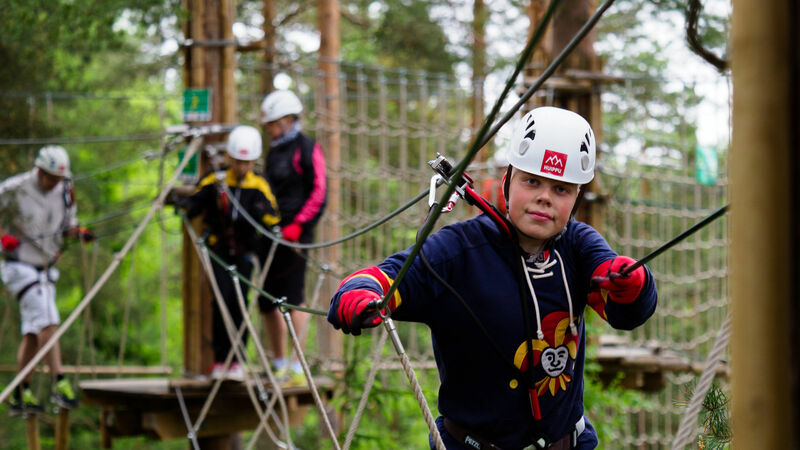 Treetop Adventure Huippu is suitable for all able-bodied adventurers and requires no previous climbing experience. 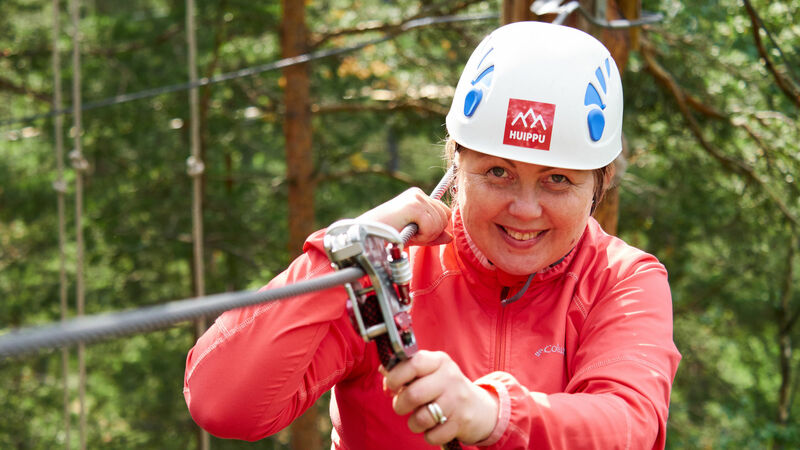 The high ropes courses at Huippu are designed for adventurers at least 3 feet 3 inches tall (100 cm). 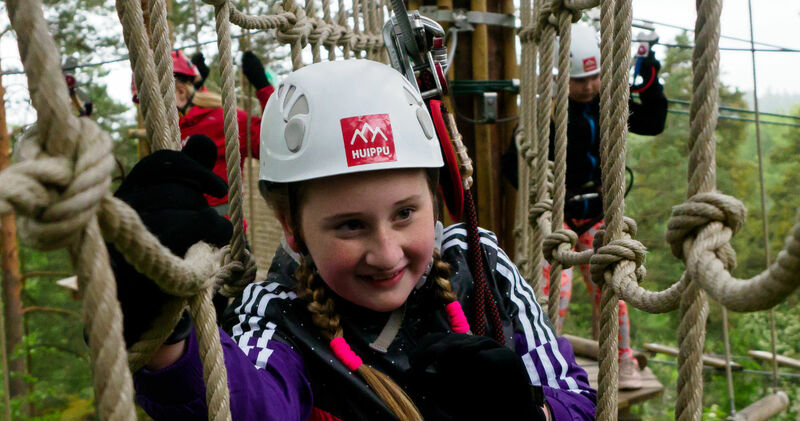 Children aged 13 years or more may use the courses independently, but those 13 - 17 years of age require the written consent of a parent or guardian. 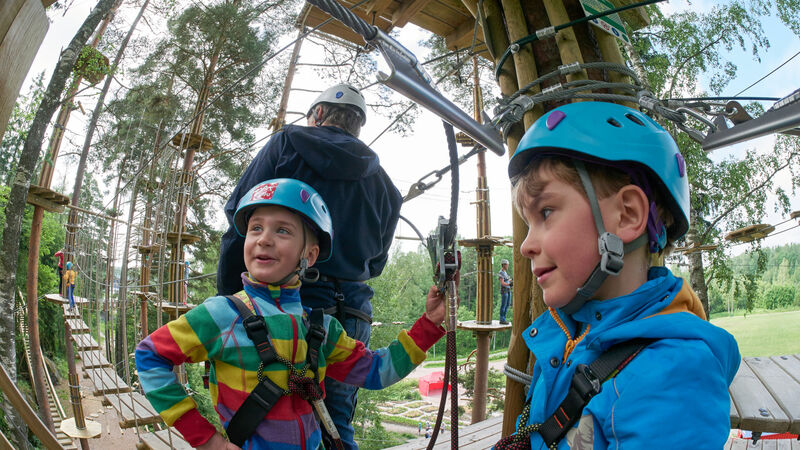 Younger children must be continually supervised by an adult. 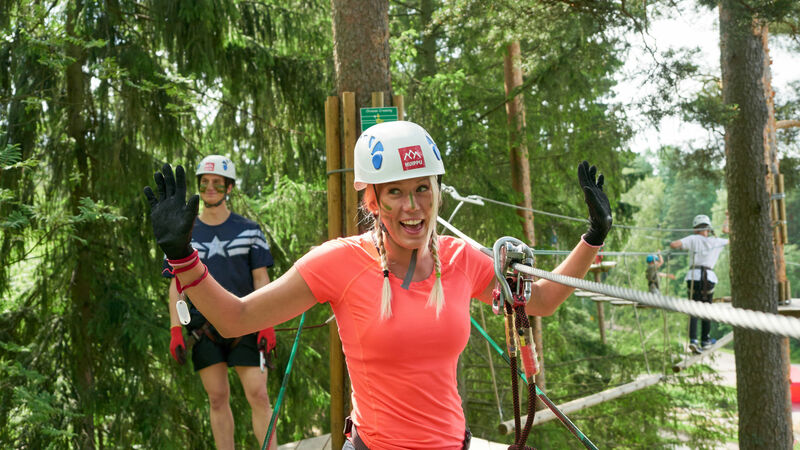 A supervisor must accompany any user under 3 feet 7 inches (110 cm) tall onto the course, but larger adventurers may be supervised from ground level. 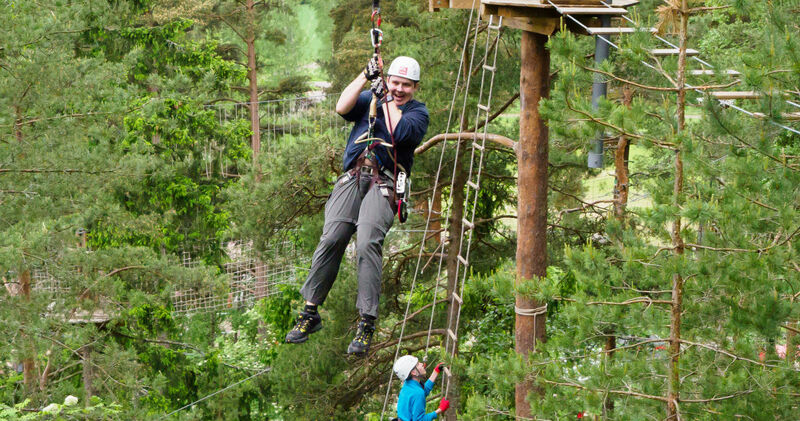 The high ropes courses are really not suitable for pregnant women. 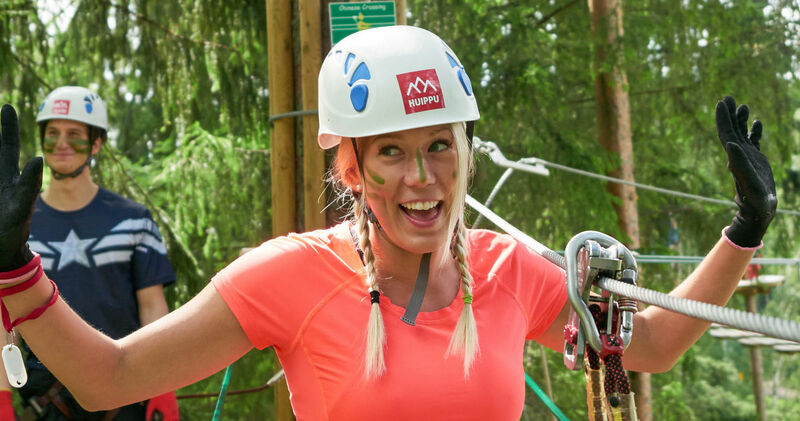 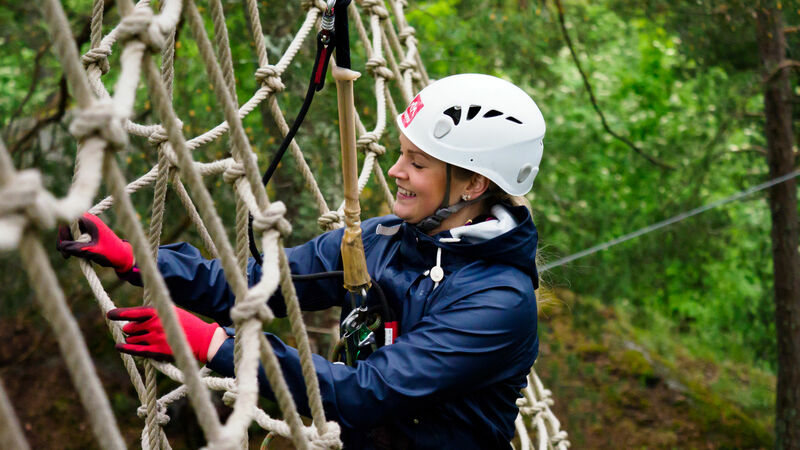 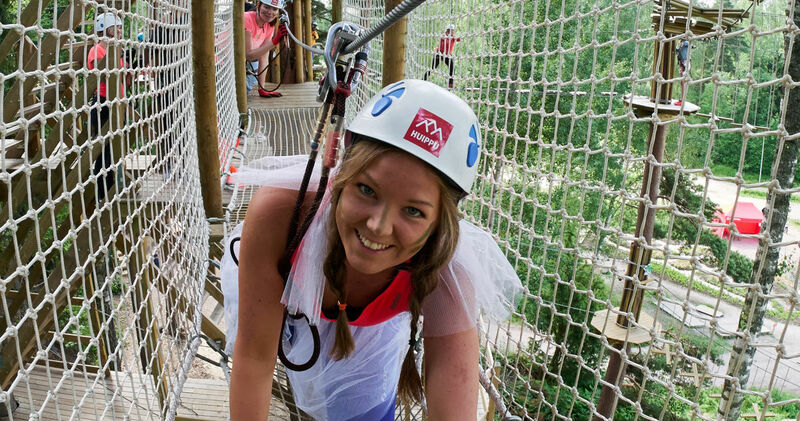 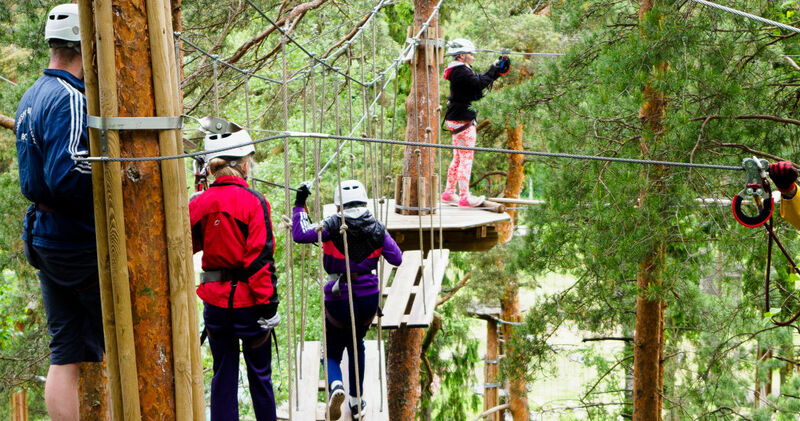 In Huippu you can also spend an unforgettable team day out with teambuilding activities, reconnect with your class mates in the treetops, or book an adventure birthday party with sweet and savoury treats. 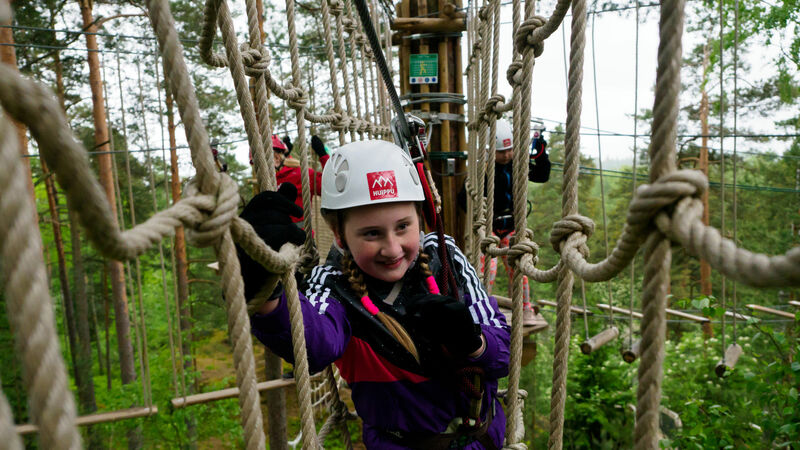 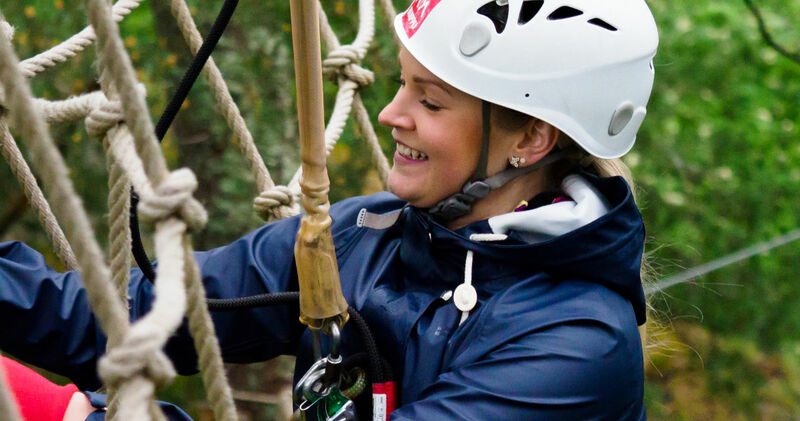 Treetop Adventure Huippu also organizes fun and exciting adventure events. 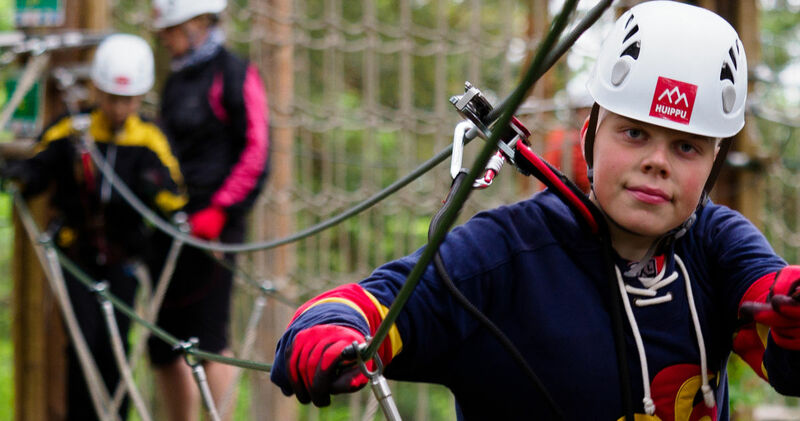 Check the next events in the events calendar. 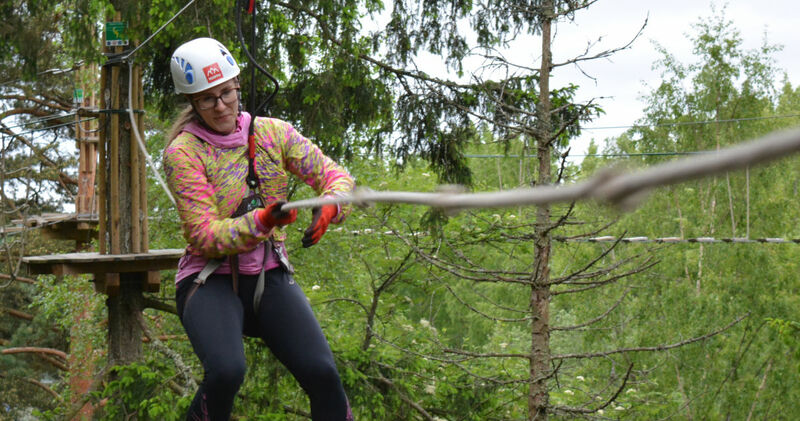 Parking: Veräjäpellonkatu 15 (Leppävaara swimming pool) or Vanha Maantie 15.